A special summit at the UN General Assembly in New York beginning September 25 will approve the Sustainable Development Goals (SDGs) — 17 benchmarks to measure the progress achieved worldwide. Over 160 heads of state—including the Pope—will be present and President Obama will likely mention these goals in his address to the General Assembly. In short, the SDGs constitute the next 15-year framework that will guide country plans, priorities and investments to reduce poverty and promote development. They will influence the definition of development, how it is funded and how it is measured. The US Government for instance has already “pre-endorsed” the goals by aligning USAID’s mission with SDG Goal #1 on ending extreme poverty and promoting climate smart agriculture among other examples. SDGs? What about the MDGs? These SDGs were preceded by the Millennium Development Goals or MDGs, which were active from 2000-2015. Unlike the top-down development of the MDGs, the SDGs have been the subject of extensive consultations and a much more inclusive process—face-to-face consultations in more than 100 countries—and apply to all countries. In addition to continuing to address unfinished business from the MDGs, the SDGs explicitly incorporate climate, energy, social protection, and peace and governance among other additions. Zero Goals: The MDG targets for 2015 were set to get us “half way” to the goal of ending hunger and poverty, with similar proportional goals in other fields. The SDGs are designed to finish the job on some targets – to get to a statistical “zero” on extreme poverty, preventable child deaths and other targets. Universal: The MDGs were in the context of “rich donors aiding poor recipients.” Since then the world has changed dramatically. The majority of the poorest people live in the middle-income countries. Inequality is the issue, not national-level poverty – and the SDGs applies to rich and poor countries alike. Distinguishing Hunger and Poverty: In the MDGs, Hunger and Poverty were lumped together in the first goal, as if solving one would solve the other. Much has been learned about nutrition since that time, and the SDGs treat the issue of poverty separately from Food and Nutrition Security. Funding: The MDGs were largely envisioned to be funded by aid flows – which did not materialize. The SDGs put sustainable, inclusive economic development at the core of the strategy, and address the ability of countries to address social challenges largely through improving their own revenue generating capabilities. Peace Building: Over the past 15 years, we’ve seen that peaceful, reasonably well governed countries prosper. After 2015, experts predict that the majority of those in extreme poverty will live in conflict-affected states. The inclusion of peace-building is thus critical to the success of ending hunger and poverty—yet was totally ignored in the MDGs. What does this mean for Lutheran World Relief? In short—the world agrees with LWR! The more comprehensive approach expressed in the SDGs represents a resounding affirmation of LWR’s accompaniment of poor communities in a way that supports their own goals and aspirations in an integrated way. 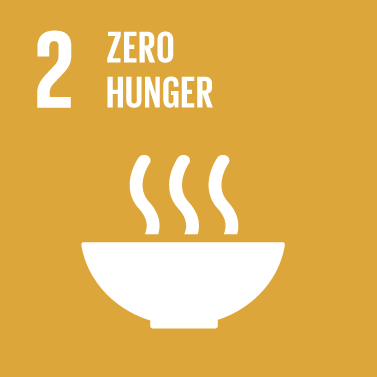 SDG #2 — reducing hunger — is squarely in LWR’s “wheelhouse,” focused on sustainable and climate-smart ways of promoting food security and inclusive agricultural growth among small-scale farmers. In addition, the climate and gender goals also align very much with LWR’s efforts and approach over the past few years. The goals are universal: they apply to all countries, not just developing ones. Goal #2: End hunger, achieve food security and improved nutrition and promote sustainable agriculture. The targets for this goal frame a good portion of LWR’s work overseas and offer a way to think about LWR’s contribution to such an overarching goal. 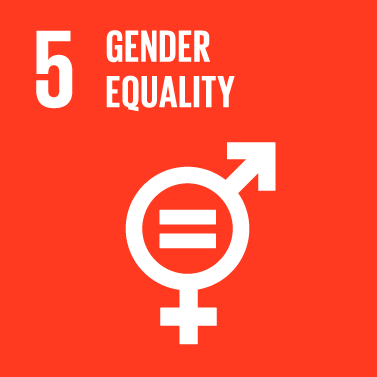 Goal #5: Achieve gender equality and empower all women and girls. LWR’s experience and commitment to gender integration provide important dividends not only for the quality and sustainability of our programs, but also promotes our visibility and leadership among peer agencies. 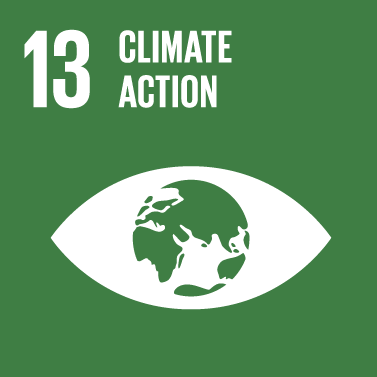 Goal #13: Take urgent action to combat climate change and its impacts. For this climate change goal, we see the complementary and interlocking way the SDGs coincide with the food security goal (#2) in a way that, again, highlights the clarity of LWR’s focus on resilience, adaptation and the importance of local planning to meet the challenge. Learn more about the SDGs, visit the website for The Global Goals for Sustainable Development at www.globalgoals.com.